In the above photo is an example of our spadroon hilt, also sometimes referred to as a mortuary hilt. These have a 4 3/4 inch long wooden grip, and may be ordered alone, or mounted on any of our blades, straight or curved. 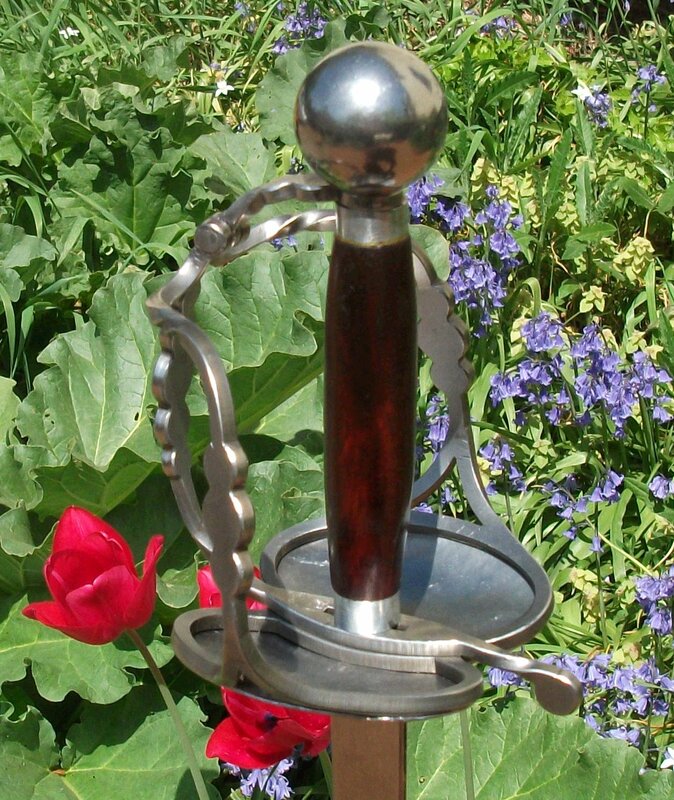 The above example is mounted on one of our curved Alchem schlager rapier blades for use as a cutlass. This design consists of a knuckle and side guards protected by plain curved shells. The above hilt is based on an example in the collection of the Cleveland Museum Of Art and was a popular design with both infantry and cavalry from the late 16th Century on. 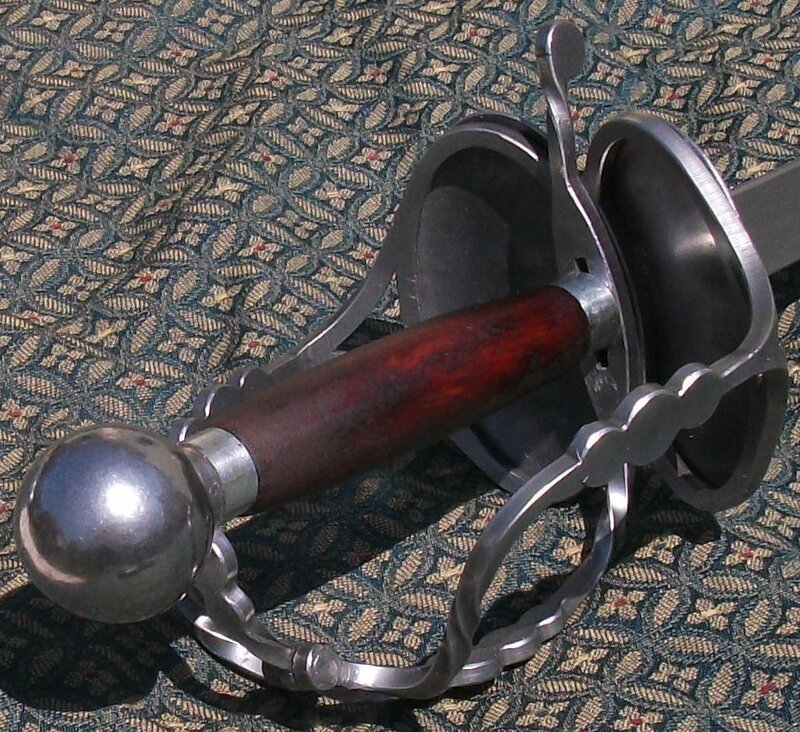 One of the advantages of this design is that the side guards merge with the knuckle guard, leaving the pommel end of the hilt open for thrusts. Please note: If not specified, the default is gray. Please note: If not specified, the default length is 36 inches and straight.